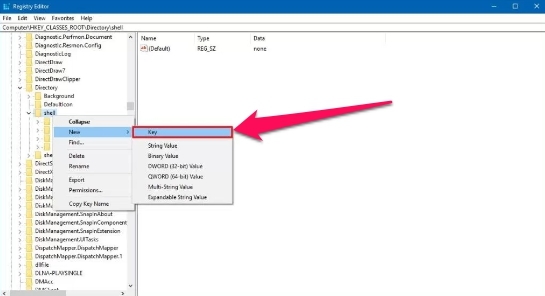 In this tutorial, you’ll learn how to delete large data files and folders on Windows 10 quickly in a matter of seconds. There is no longer any need to spend hours and hours to find and delete thousands of files and folders that you don’t use or need anymore on Windows 10 PC and Laptop. 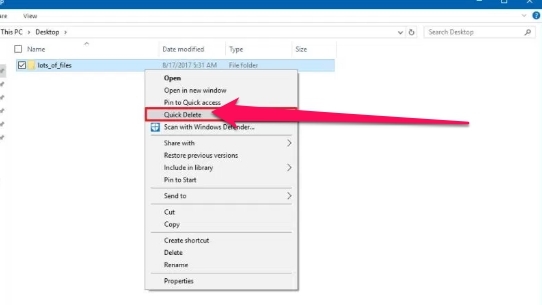 You can now easily delete large amount of data on Windows 10 by following the instructions in this guide. 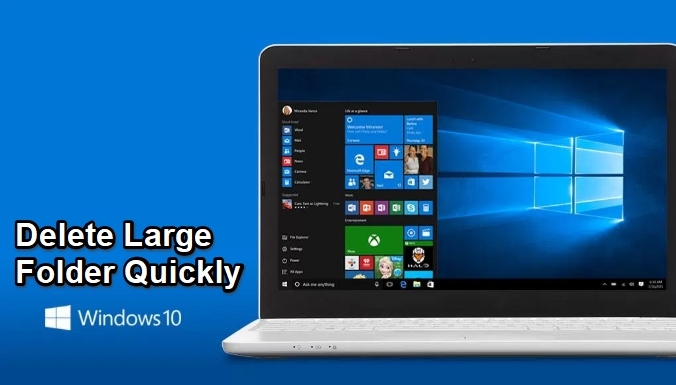 From time to time we run into a situation where deleting a folder containing large number of files becomes necessary in order to free up storage space or simply to get rid of data that is not required on Windows 10. However, taking traditional File Explorer route to finding and deleting files can take hours to clean up the mess on your computer. The reason being Windows 10 takes time to run calculations, analyze and show live information as files and folders are deleted during the entire process. And this could cost serious amount of time when the folder you wish to remove contains thousands of sub-folders and files. Thankfully, on Windows 10, there is another way of going about the issue, and that involves using a few command lines. This method can greatly speed up the deletion process. Only thing required is that you should be comfortable in using Command Prompt. In the step-by-step guide below, we are going to show you the way to delete large folder that contains thousands of sub files and folders in a matter of seconds. This requires using Command Prompt on Windows 10 based on the Ghacks’s guide. 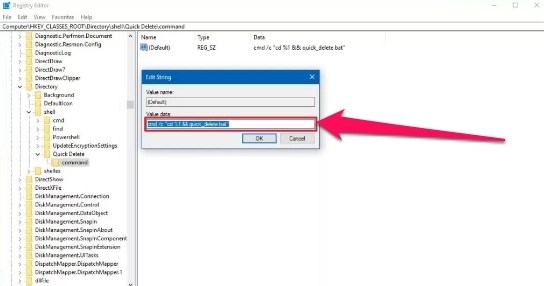 Also mentioned are the instructions to add an button on the right-click context menu to automate the process with just one click for faster deletion. Here is how to use the del and rmdir commands to delete large number of files that otherwise takes time to remove from a Windows 10 PC. 2 – Search the Command Prompt, right-click the result and select Run as administrator. 3 – Browse the folder path that you want to delete. For example, C:\Users\your-user-name\Documents\<foldername>. Note: In the above command, /f switch to force the deletion of read-only files. The /q switch enables quite mode. The /s switch executes the command for all files in any folder inside folder you’re want to remove. The *. * in command is for deleting every file, and the > nul disables the console output to make the process quicker. Note: In the above command, the /q enables quiet mode, the /s runs the command on all folders, and folder name is the variable you need to specify to delete the folder you want. Now if the above method is not your cup of tea, and you don’t feel comfortable using command prompt, then there is another method which is even quicker to delete tons of data and files by adding a right-click context menu option. It will run batch file for the data you want to delete from your computer. 2 – Copy and paste the following lines into the Notepad text file. 3 – Click File and select Save As. 4 – Save the file as quick_delete.bat, make sure to use .bat extension (this is very important). This method will not work with .txt extension. 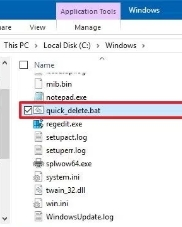 5 – Copy the quick_delete.bat file to C:\Windows. This step is important, because the file need to be on a location that has a path environmental variable, but you can create your own with a caveat that it can be risky. 6 – Next, hit Start button, search regedit, right-click the result, and click Run as administrator. 7 – Head over to the following path. Note: You can copy and paste the above path in the address bar to quickly go to the path if you are running the Windows 10 Creators Update. 8 – Now right-click the Shell folder key, and select New > Key. 9 – Name the key Quick Delete and hit enter. 10 – Right-click the newly created key, select New > Key. 11 – Give the new key a name and hit enter. 12 – Double-click the command key default String on the right side. 13 – Now, change the value of the key with the following line and hit OK.
You can now right-click a folder and select Quick Delete to remove a large folder quickly. During the command execution you will also get a security prompt which will block accidental file deletion. When that happens, press any key to bypass block attempt, or press Ctrl + C keyboard shortcut or click X button to cancel the process.